Simon Nye's entry into the Who canon, Amy's Choice, aired the other day – in what's been described as something of a throwback to the Celestial Toymakers and Mind Robbers of years gone by. So, was the seventh episode of Series Five totally Simpson, or was it all a little bit Gold? Toby Jones - Brilliant as the Dream Lord, a quirky character more interesting that pretty much anyone else in the 60-odd episodes of NuWho, if not entirely used to its full extent. 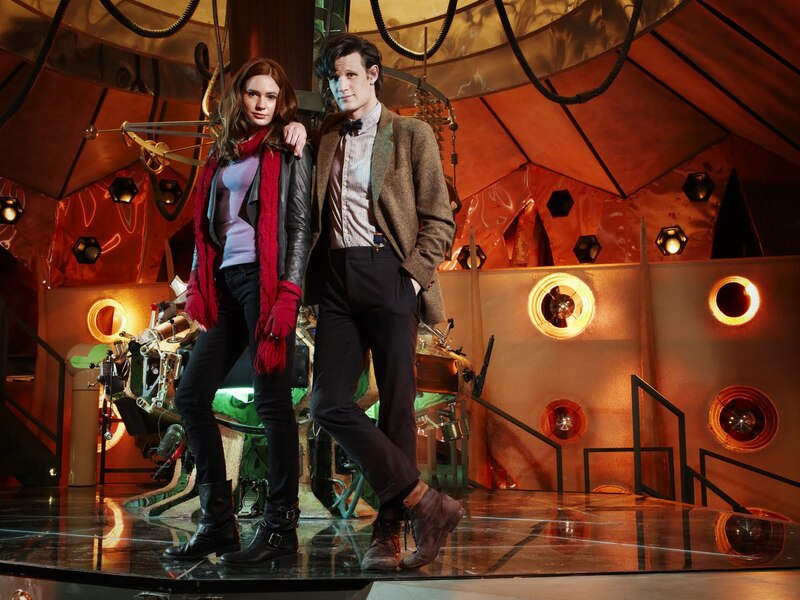 Brilliant when deconstructing the Doctor's affectations, musing on butcher's shops and teasing Amy. I demand more. Smith'n'Gillan - I can't fault them. Best TARDIS crew for... ages. Valeyard - I don't care what anyone else says. No threat 1 - At no point was there any real sense of threat, nor were script or direction really interested in exploring the stranger aspects suggested by the set-up. No threat 2 - The Dream Lord, as a friend has amusingly put it, had all the threat of Michael Gove. Instead of simply being creepy old people, the creepy old people were yet another kind of screeching BEMs hiding in human shape. Plot - Muddled at best, with a confusing climax. Rory - Arthur Darvill does a good job, but I could not care less about this feckless twunt. Worst use of a milkman since Survival: "Oh, good morning! Arrrgh!" All of which may give the impression that I didn't really enjoy Amy's Choice, but I did. It was original and a great change of pace - and much more interesting than any Victory of the Daleks or Vampires of Venice can ever be. It just could have been a lot better.